Besides my birthday, Christmas is the climax of my year. I wait in heavy anticipation for 12 months for the day that arrives in what seems like a flash and before I know it, it’s over. And all the excitement surrounding it evaporates in seconds. There’s nothing quite like the holiday season and I hate knowing I won’t taste it again until next year. Thus, it’s a given that New Year’s takes a back seat to my joyous, beloved Christmas. Part of the reason? There are few traditions surrounding New Year’s, including zero presents and very few cookies (BOO). But, I’ve recognized lately that big changes and even life-altering discussions have surrounded our past several New Year’s celebrations, and it’s caused me to reconsider my affection for it. It’s no Christmas but it causes me to reflect on a year gone by and what lies ahead. And that calls for celebrating. During our recent tour de Europe, we found ourselves in Barcelona at perhaps my favorite coffee shop in the world – Caravelle. A recommendation of the Oh, Ladycakes herself, we were immediately drawn to the coffee and food Caravelle had to offer. But I couldn’t help but wonder what their drink special was all about: a St. Germain Spritzer? 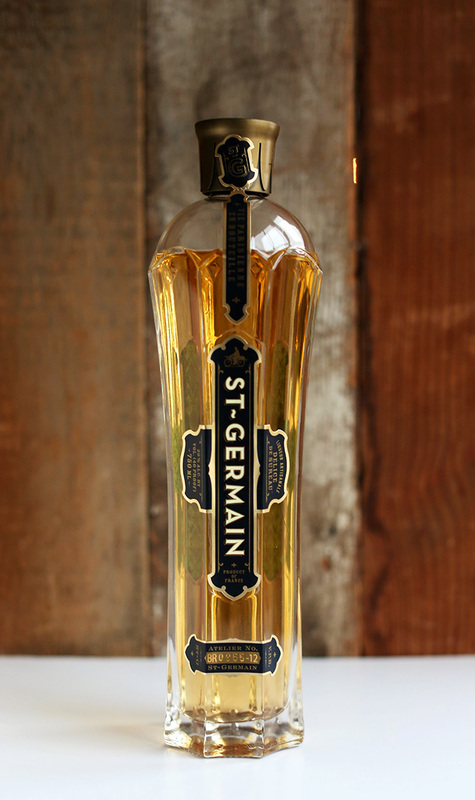 I’d never even heard of St. Germain before, but it intrigued me. So we did a little research and discovered it’s of French origin and derived from elderberry flowers. An artisanal liqueur, St. Germain has a delicate, floral flavor that mixes incredibly well with champagne, club soda and citrus. We ended up ordering the special, then another, then we convinced our friends to order one, too. Practically the minute we got back home we went searching for a bottle of St. Germain and have since been experimenting with (and thoroughly enjoying) this incredibly unique and delicious liqueur. 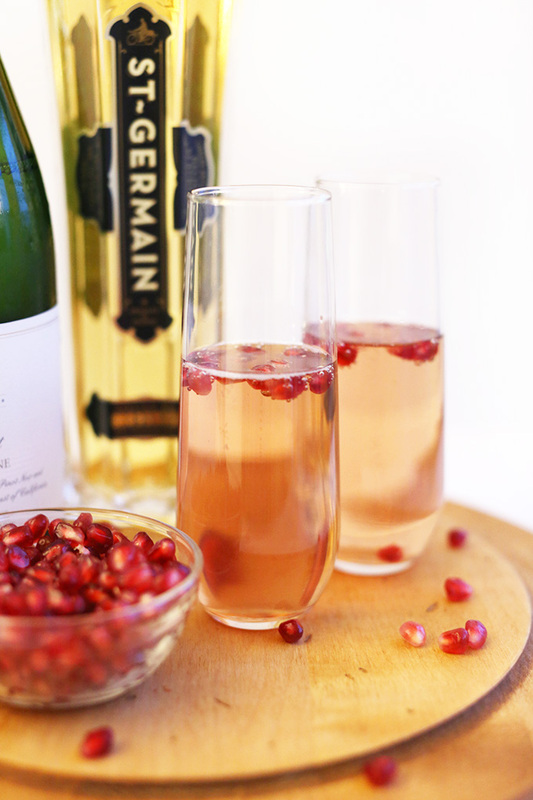 It turns out, St. Germain, sparkling white wine and pomegranate juice are meant to be together. 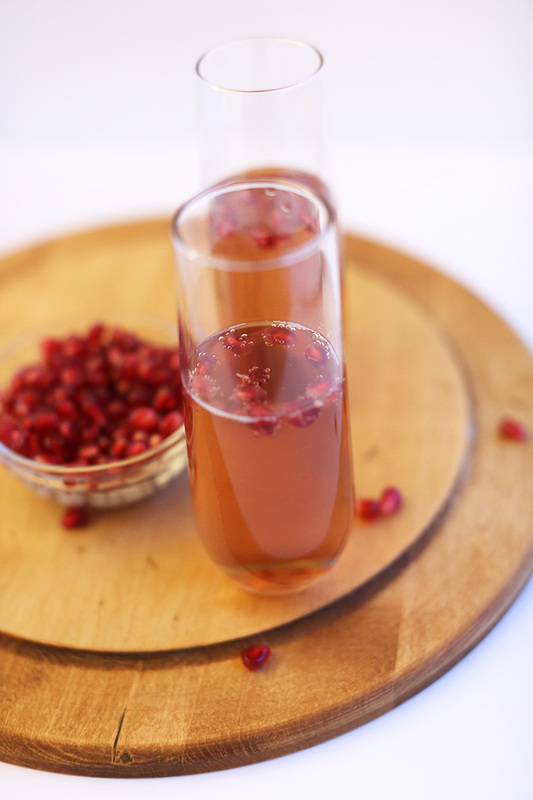 This spritzer is comprised of a Brut sparkling white wine, a shot of St. Germain, pomegranate juice and arils and a dash of club soda. 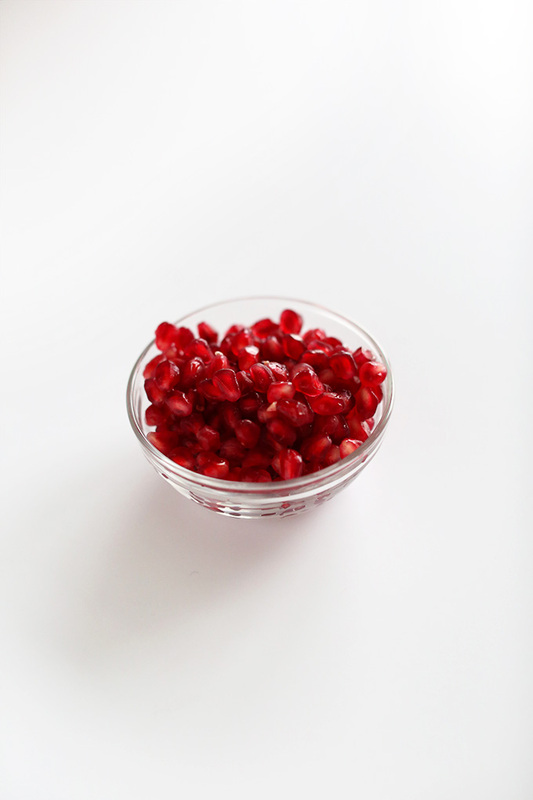 So simple, so delicious. 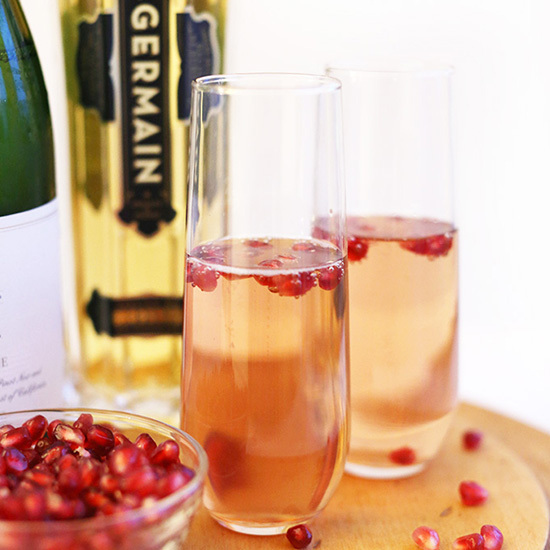 When you have bubbly and St. Germain in a glass, it’s really hard to go wrong. Cheers, friends! P.S. What are you doing for New Year’s? We’re either going to a party with people we don’t know who apparently just bought two cats (John and I are both allergic), or doing absolutely nothing. Either way it’s a win-win. 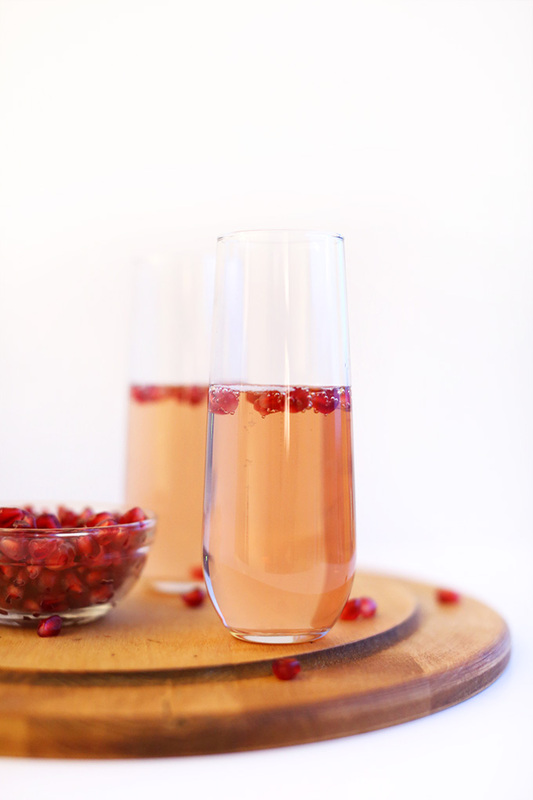 A spritzer of sparkling white wine, St. Germain elderflower liqueur, club soda and pomegranate juice. 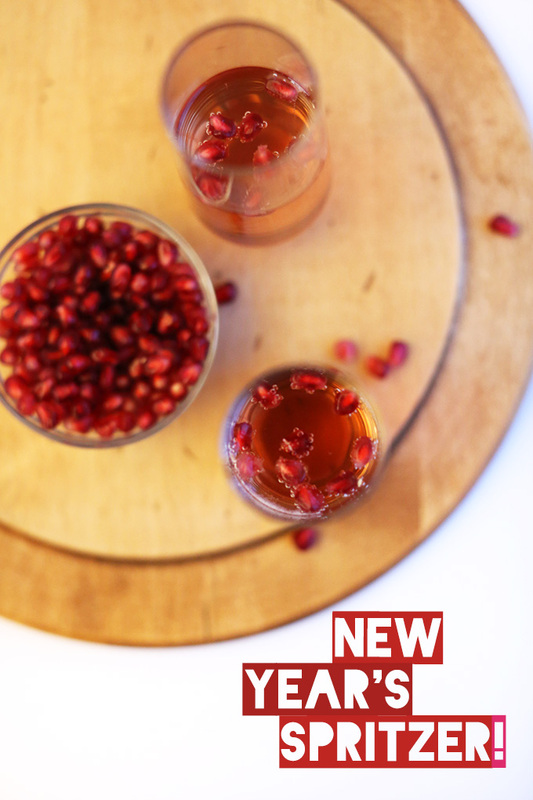 Pomegranate arils add a pop of color to this effortlessly delicious and simple cocktail. 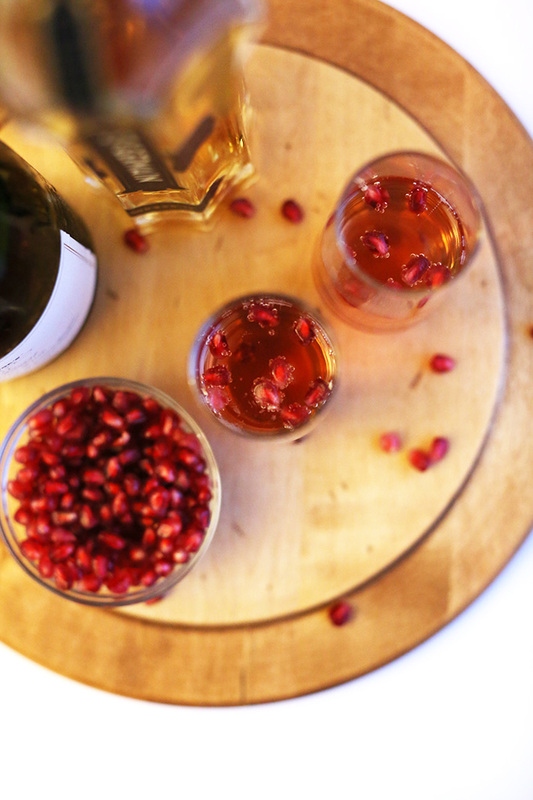 To one serving glass, add pomegranate juice, St. Germain, sparkling white wine and top with club soda and a few pomegranate seeds. Taste and adjust ingredients as desired. Repeat for more servings. One of my fav bars serves this with lime juice and it is so refreshing. I love it. So glad to find the recipe. Hi, looks amazing! Where can I find the glases? I love spritzers like this! Totally making this for the holidays! Gorgeous pics too! I’ve wanted to try Elder Flower Liquor for years….tonight was the night! Great drink recipe will make again for guests tomorrow! Yay! Thanks Linda. Glad you liked it! These look AMAZING! Happy New Year to you both! & 2. I want all of this. 3. This is why we love you. Beautiful! Pinned! I love St Germain and champagne. I bet with the pom it’s even better! 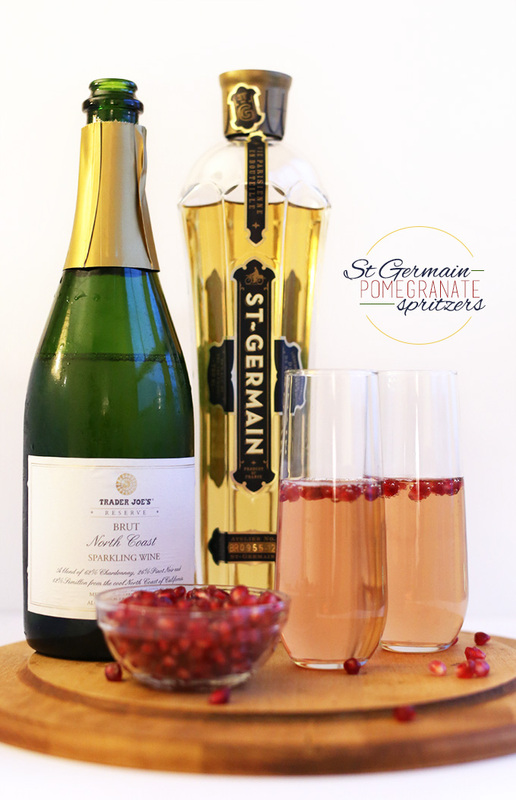 Yum, I love st. Germain liqueur – this recipe sounds amazing/ perfect for the holidays, thanks for sharing!